You’re newly engaged, now what?! You’ve found a venue. Now what? You’ve booked your first few vendors. Now what? You’re making great progress. Now what? You’re weeks away. Now what? You're newly married! Now what? Your wedding plans are really taking shape. Most of your vendors are booked, your ceremony is coming together, and you feel like you're well on your way to creating a wedding that totally reflects who you are and what’s important to you. You’re now looking for inspiration and practical guidance and ideas to tie all the loose ends together... without falling down the Pinterest rabbit hole, and without the whole process taking over your life! Your wedding plans are really taking shape - well done you! First thing’s first for this stage, if you haven’t already downloaded it, head to the RESOURCES section and grab our ‘8 weeks to go action plan’. Then see below for all the action steps you need to take at this stage. As always, if you have any questions, ask me inside the Facebook group and I’ll get them answered! Decide whether or not you're making a speech (see this to help you make a decision). 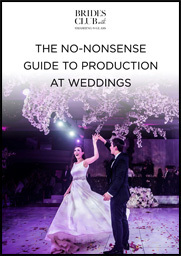 What kind of weddings need it? Do you have to have it? video: The spiritual side of your wedding - how do you want your wedding to feel? Ask me inside the Facebook group and I’ll get them answered! I’m here for you at every stage of your wedding planning and ready to help you with anything and everything, so please do ask away inside our confidential space.